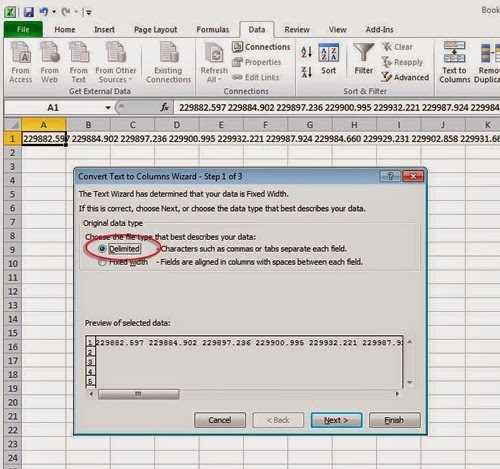 The following procedure allows you to copy text from AutoCAD and paste it in excel as a text. First copy and stack the text in a column. 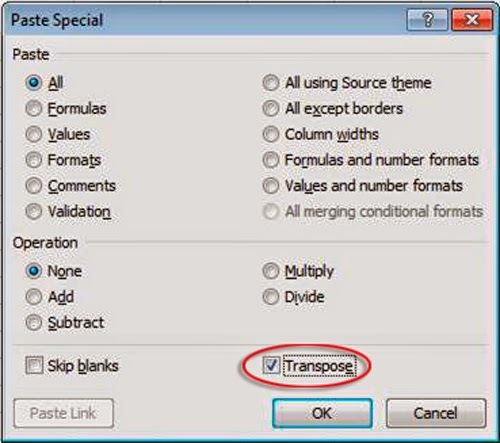 Go to “express tools” and select convert text to mtext. now select all the text and click enter. All the texts are now a single entity and a multiitext. 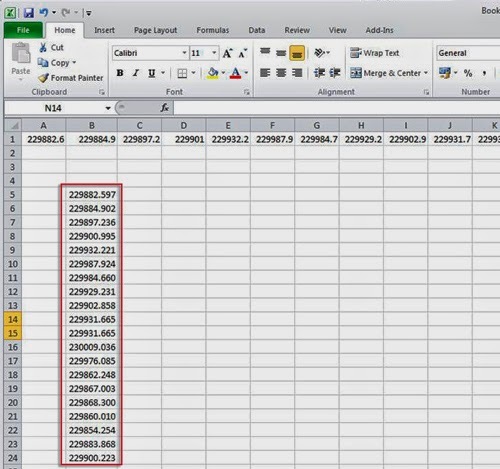 Copy the text file and paste it in an excel sheet. The text will be in one cell and in a horizontal line. 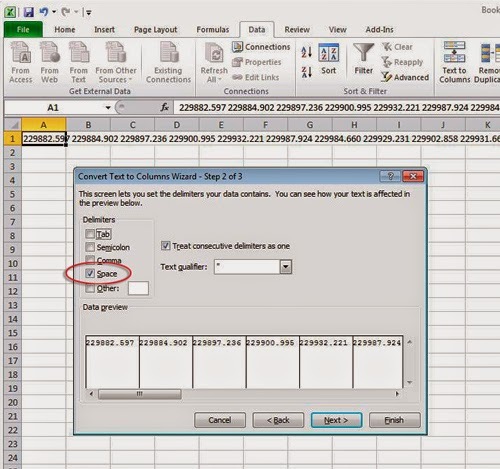 This is how the text will appear when pasted in a excel sheet in order to arrange the text in separate rows ,go to DATA tab and click on TEXT TO COLUMNS icon and select DELIMITED option. 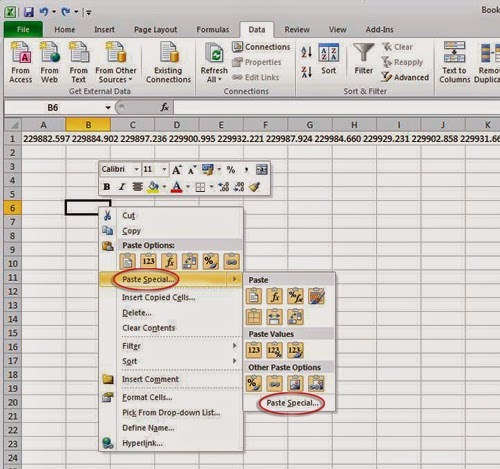 Now in order to arrange the text in a column, select the entire row 1 and then select COPY. Repeat this procedure as required. Note: When Text to column once selected in a cell (cell 1a) and the contents in that cell is deleted and another content is pasted in the same cell, it is not required to repeat the procedure (sorting of text in different cells) again. Hello Mr. Bijoy, i have lisp for export Coordinates points to Excel directly. KUDOS!!! I lost my lisp and I found this technique very helpful. Thanks!!! 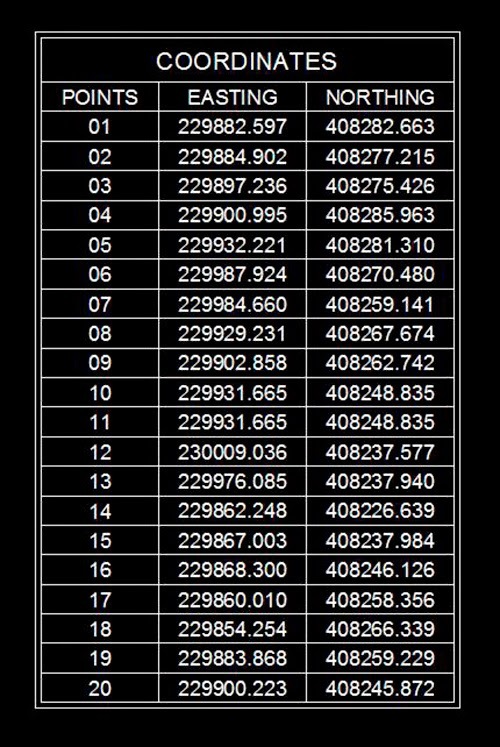 if there any LISP file will helpful. Thank you very much Mr Mahoharan. Can you send it to me?